Are you ready to “Unlock a New World? The USA Contingent to the 24th World Scout Jamboree in 2019 is accepting applications for participants, adult volunteers, and International Service Team (IST). We hope that you can join us for an adventure of a lifetime. Participation is open to eligible men and women who are registered members in the Boy Scouts of America. World Scout Jamboree units will be organized on a regional (not Council) basis. The theme for the 24th World Scout Jamboree is “Unlock a New World”. This reflects the new adventures, cultures and friendships that will be shared by Scouts from around the world. We hope you can join us! The United States Contingent is limited on the number of people that we can send to a World Scout Jamboree. While we will be able to send more to this Jamboree than ever before, we expect there to be tremendous interest and encourage folks to apply as soon as possible. When to apply: The USA Contingent application system opened on November 1, 2017. Fees: Total fees, along with a payment schedule, will be published on November 1, 2017. Early applicant discount: applicants who submit a $250 deposit between November 1, 2017 and January 31, 2018 and make all additional payments on time will have a $100 discount applied to their last payment. The payment schedule will be published on or before November 1, 2017. What is included in the fee: The participant and unit leader fees include registration for the Jamboree, meals at the Jamboree, tents, and patrol and cooking gear. The fees also cover appropriate travel expenses (including food) between “Hub Cities” and the Jamboree. An appropriate number of “Hub Cities” will be identified across the continental United States depending on the distribution of youth and leaders that make up the various units. Applicants will be responsible for the costs to get themselves to and from these “Hub City” locations. Due to different travel costs, participant and leader fees may vary by Region. The IST fees will include all of these items except for transportation and travel related expenses. Transportation to and from the Jamboree will be the responsibility of the IST member based on when they need to report or depart from their staff assignment. In an effort to reduce costs, there will be NO TOURS pre or post Jamboree. Participants – Participants will be notified, by unit leadership, if they have been accepted or are being put on a waiting list. If they are put on a waiting list, they will continue to pay according to the payment schedule. Applicants on the waiting list that are not ultimately selected will receive a full refund (including initial deposit). Leaders – There will be four leaders per unit and acceptance timing will be based on the filling of youth in the units which have been allocated to each Region. Leaders will continue to pay, according to the payment schedule even if they have not been confirmed. BSA area and regional leadership will select leaders based on the leader qualifications. Leader applicants who are not ultimately selected will receive a full refund. If a unit leader applicant is not selected for a unit leadership position, it would be encouraged that they consider modifying their registration status to that of an International Service Team member applicant. Once that modification is made in their application, selection for IST positions would be handled by the Host Committee. Female leadership is important in order to follow BSA policy on co-ed units. 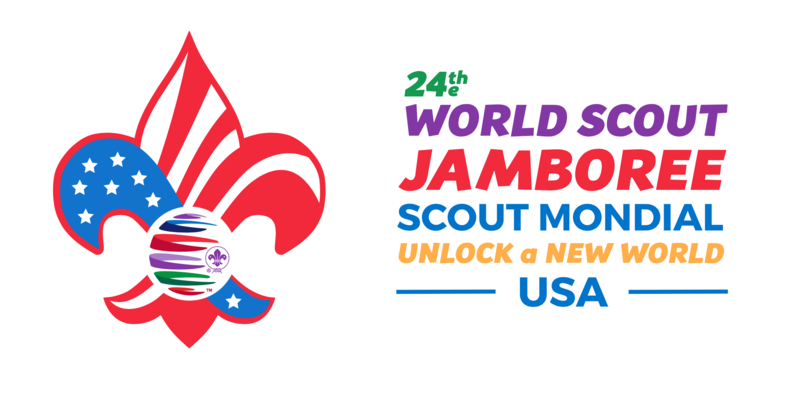 IST – Once approved by their local Council and the USA Contingent leadership, the application will be sent to the World Jamboree Organizers (Host). The Host will notify the applicant of acceptance and job assignment. Some assignments will likely be given in 2018 and some in 2019. The applicant will need to continue to pay as per the fee schedule above. If an applicant is not ultimately accepted, they will receive a full refund. Scholarship Program – A partial scholarship will be available based on need – more details pertaining to the scholarship program will be available on or before December 31, 2017. Partial scholarships, if received, will be applied to the final payments. Prior to the Jamboree, online training for participants, unit leaders and IST will be required for all in the USA Contingent. This will be identified and provided during late 2018. Participants must have a birthday between July 22, 2001 and July 21, 2005 to attend. IST must have a birthday before July 22, 2001. There are no exceptions. A World Jamboree is a coed event and all are encouraged to apply. If a potential participant is currently not a member of the Boy Scouts of America due to current membership age requirements and would like to apply for the Jamboree, they should contact their local council. They will learn how to register in order to apply for the World Jamboree. The participants and unit leaders from the USA Contingent will arrive on July 21st and depart August 2nd – the arrival day is a day earlier than the other contingents – this is to help the Jamboree Organizers (Host) welcome other participants and leaders from all around the world. Participants and unit leaders must travel with the USA Contingent from their “Hub City” to the Jamboree. “Hub Cities” will be in the continental USA (i.e. those coming from Alaska, Hawaii, Far East Council, and Transatlantic Council will need to provide their own means of transportation to and from the “Hub city”). The Jamboree Organizing Committee has the authority to cancel the event due to compelling reasons. If the Jamboree is canceled because of events outside of BSA or the Jamboree Organizing Committee control (e.g., acts of terrorism, natural disasters), the BSA and Jamboree Organizing Committee may not refund the fees collected. Any payment made after March 15, 2019 is subject to an additional $50 late fee. We hope you’ll join Scouts and Scouters from across the BSA for this opportunity to “Come See the World” right here in West Virginia. Scouts will not only enjoy the adventures at the Summit, but will also work with Scouts from around the world in seeking answers and solutions to international questions and problems. 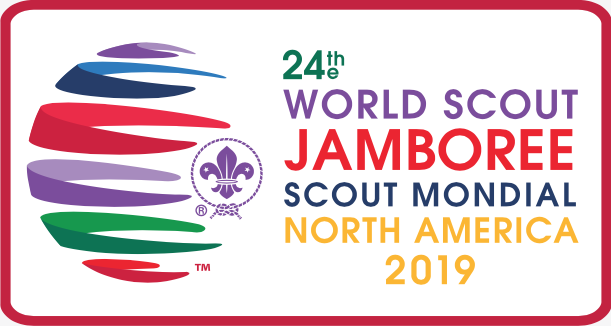 Scouts will leave the Jamboree with a wider view of the world, a deeper understanding of world Scouting, and a renewed commitment to Scouting as a whole. For the most accurate information, additional resources, or specific questions, please refer to the USA Contingent website: https://wsj2019.us or email uscontingent2019@scouting.org.